Pope Francis’ first visit to the United States has managed to inspire numerous people. Yesterday’s speech before Congress mesmerized all of those in attendance, regardless of their religious or political affiliation. 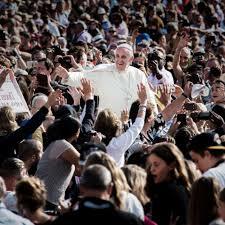 The Pope’s message has been unifying to all witnesses, which is why many people have been so excited by his visit, even though many of us are not Catholic and may not agree with his specific positions. What happens when a religious leader is divisive instead? This post will examine the legal ramifications when the leader of a religious institution is the source of conflict among congregants. It is not unusual for clients to consult us concerning disputes within their religious institutions. In the event that the congregants choose to continue to worship together under the leadership of another clerical leader, steps may need to be taken to legally terminate the relationship with the spiritual leader. As we discussed in a prior post , the spiritual leader may be classified as an independent contractor or employee, depending upon the circumstances. An independent contractor may be dismissed more readily. If the person is an employee instead, an at-will employee may also be dismissed relatively easily and upon short notice under New York common law. However, an employee operating under a written contract is another matter. Provided that the contract is legitimate (having been approved by the Board of Trustees and entire congregation in accordance with the By-Laws governing the institution, as well as specific New York State laws pertaining to the denomination), the terms of the clerical contract need to be considered with respect to any termination provisions. Another issue that arises when a clerical leader is divisive is that financial obligations of the institution cannot be met. Perhaps congregants choose to worship elsewhere, leading to the permanent closure of the institution. Financial obligations to clergy will be legally considered according to the employment classification of the clerical leader described above. Should the institution become unable to make payments due on a mortgage, a mortgage foreclosure suit could result. Religious artifacts owned by the congregation may also become a source of dispute. If certain congregants leave to worship together somewhere else, may they legally take these artifacts with them? Should the financial state of the religious institution become dire, it may decide that making a mortgage, leasing a portion of the premises or selling the premises is necessary. In order to legally engage in these transactions, Attorney General and Supreme Court approval are required. Our attorneys routinely assist religious institutions in obtaining the necessary legal approval for such transactions. Religious institutions seek to inspire and bring congregants together. Should these goals not be attained, our firm remains available to assist.